Solid-state vs. tube amplifiers – a question of the century that should probably not even be asked. Now, I’m not totally against weighted pros and cons of the two amplifiers, but there is no one definitive answer to which one is the best. The truth is, the best one is the one you choose and fits all your needs and sound requirements. Nevertheless, solid-state amplifiers have had quite a rough time for years, they were widely underappreciated and viewed as just a beginner/kid amplifier that does not deliver on the sound. While years ago that might have been true with tech development and innovations solid-state amplifiers have gained enough grounds to compete with the tone of tube amps. In case you are still not sure whether you want a solid-state or a tube amplifier read up our blog “Solid-State vs. Tube Amplifiers”. If you are determined that you want a solid-state and nothing else, then you are in the right place. 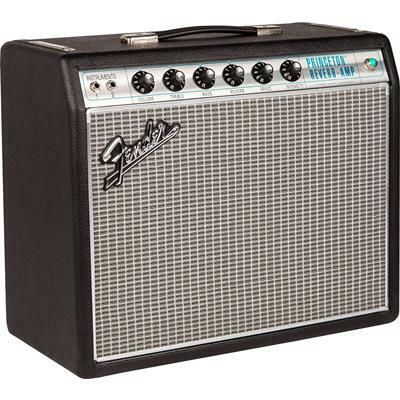 First, we will talk about some of the best solid-state guitar amplifiers on the market. While solid-state amps are usually less expensive than tube amps that do not mean that all solid-states are cheap. 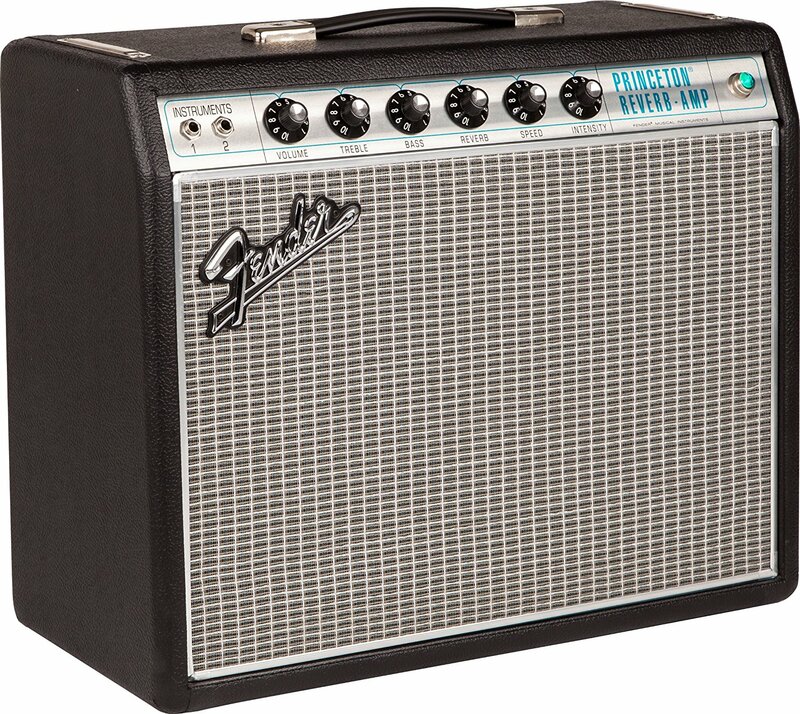 Fender 68 Custom Princeton Reverb Amplifier is not a cheap amplifier but it sure as pays its dues. This model was created as a tribute to the famous 60’s “Silverface” model. Using the best of the old techniques but incorporation new tech Fender managed to reduce negative feedback, have faster overdrive and increased touch sensitivity. While it is only 12-watts, pretty compact and lightweight this combo amp delivers on bombastic sound. That’s possible because of tube-driven reverb and vibrato circuits, 10″ Celestion speaker and a lot more than Fender equipped this amp with. It’s great for home practice, small gigs, and recording. Look-wise, you’ll notice the faceplate and silver-turquoise grille cloth with aluminum trim. The design is elegant and not overbuild. All in all, this 68 Custom amp is a classic in sound and looks. Going down a price ladder we got Line 6 Spider V 240 Wireless Ready Modeling Amplifier. Line 6 is a trusted amp manufacturer that produces some amazing, affordable solid-state modeling amps that are great for beginners as well as intermediate players. 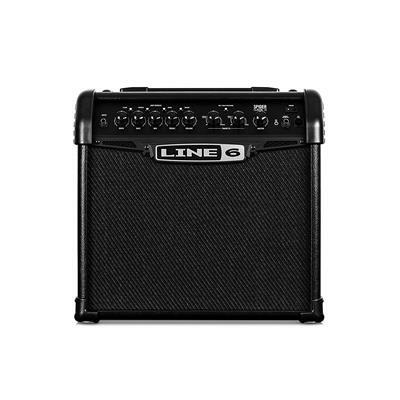 This Line 6 model is a 240-watt powerhouse with a full-range stereo speaker that has a high-frequency driver. It also has over 200 amp models with some upgrades, cabinet, a lot of effects that you will find pretty handy and useful for both acoustic and electric guitars. The point is, you will be getting a lot of versatility from this amp. Apart from that this Spider model is very elegant and sleek in design. The controls are easy to understand and use. They are color coded and, of course, you get 128 iconic rig presets that will allow you to find the perfect match for you. 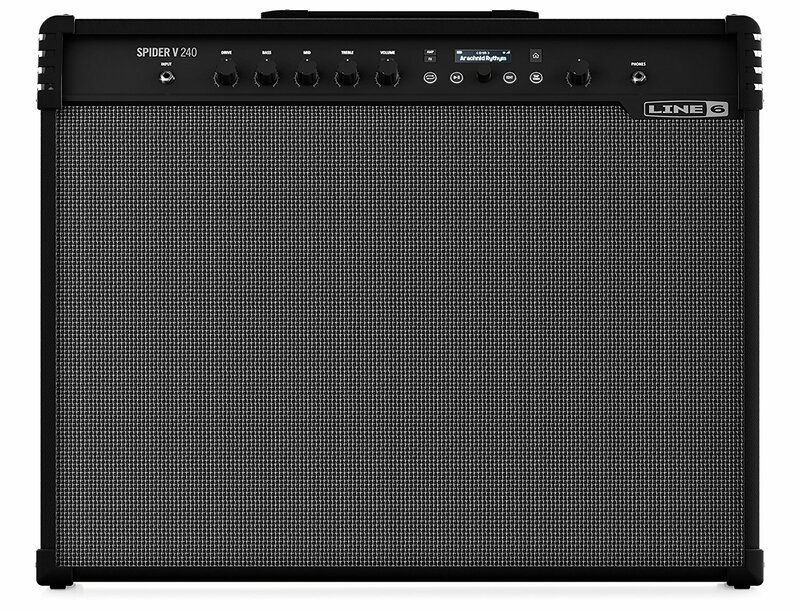 Whether you want to record, practice at home or gig, this Line 6 amp is going to come in handy. It is understandable if you do not want to drop $1000 on your first amplifier. It’s understandable even with second and third amp. You don’t need an expensive model to get the sound you want. 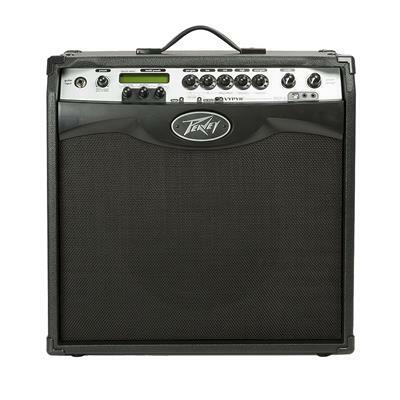 That is why Peavey Vypyr VIP 3 – 100 Watt Amplifier might be a great option if you are considering getting yourself a solid-state modeling amplifier. 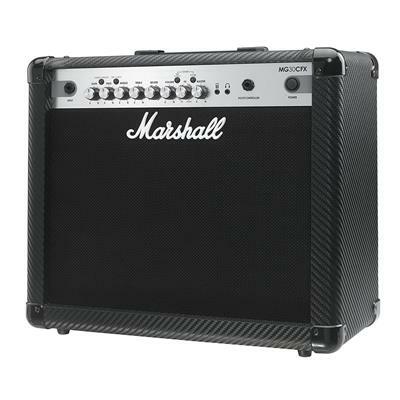 This is a 100-watt amp model with electric, acoustic guitar, and bass guitar amplifier models. On top of that this amp features simulators for acoustic guitar, 12-string guitar, 7-string guitar, baritone model, and has resonator model. This amp also is its own computer audio interface. Equipped with a built-in USB 3.0 output, this feature will allow to use your software and laying down tracks. Design-wise this model offers a pretty straightforward style and easy to understand LCD display for selecting presets and effects. Overall, this is a great amplifier if you want to practice, record or even gig a bit. While now I do own a few tube amps and pretty expensive, pro-level solid-states, it has not always been the case. When I first decided to get an amp I was looking for the cheapest and most functional model. I ended up with a nice model that served me well for years. So if like me, you want to take it slow and the start off with an affordable solid-state amp look no further than Marshall MG30CFX MG Series 30-Watt Guitar Combo Amp. this is a 30-watt model with 10″ speaker. The channels include Chorus, Phaser, Flanger, Vibe, Octave. For quite an inexpensive model you will be getting a lot of effects and features that are available in more expensive models. I would not recommend it for gigging or serious recording. 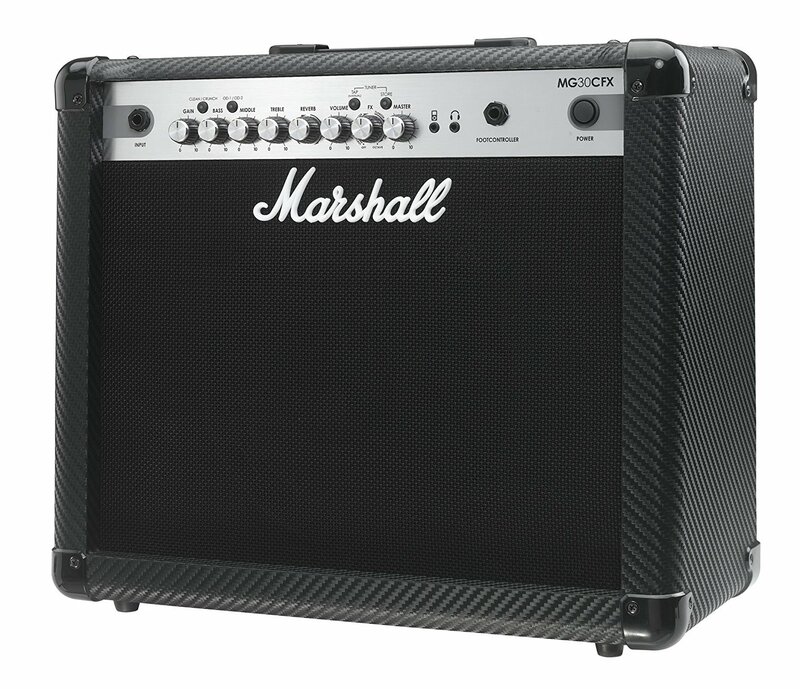 If you are just starting off and want a simple, easy to use, no hassle amplifier that has a nice tone – than Marshall model is a solid competitor in its price range. 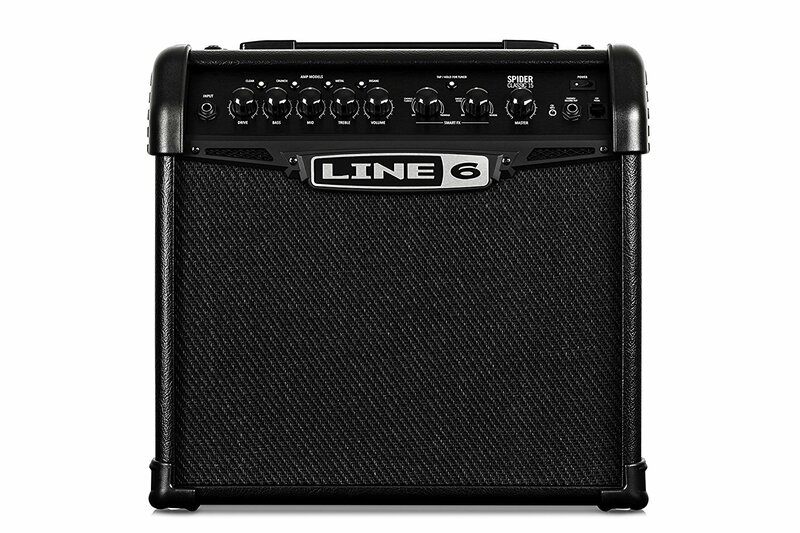 And the final model I want to discuss is Line 6 Spider Classic 15 Modeling Amplifier. For under $100 this is my favorite modeling amp that offers a lot of effects, a pretty decent tone, and nice wattage. Construction wise, the amp is pretty solid. You will not have to worry about scratching or damaging it anytime soon. The control knobs are pretty neatly done and easy to use. 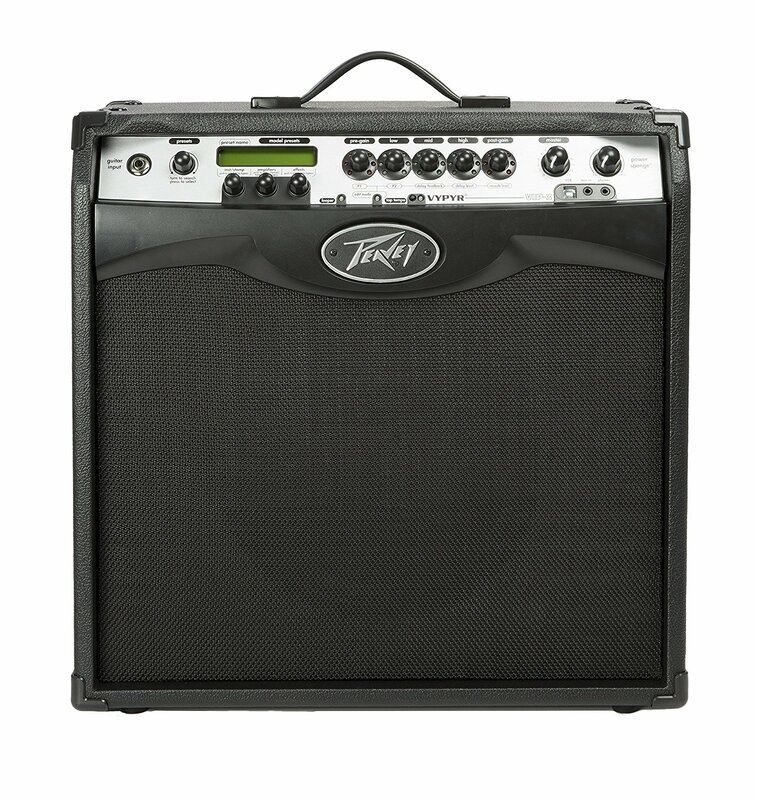 If you are a beginner or an intermediate player who wants a simple, inexpensive substitute for their usual amplifier I would definitely recommend Peavey’s amp. Do not think that because I labeled it as “beginner” it is too simple or offers only basic things. The effects and features offered on this model are sufficient for intermediate players as well. You will not be having any issues with versatility AND, of course, you will be getting the quality Peavey tone that is beloved by many people. If you are just starting off, you might hear a lot of people say that if you are serious about music there is no other way but the tube way. While for some people that is the only way, trust me, you do not need a tube amplifier to sound good. Just to make things clear I want to discuss some of the pros and cons of solid-state amplifiers. At the end of it, I hope you will understand that well… you will not really know which one is better because there is NO ONE best type of an amplifier. Both tube and solid-states are great. Sometimes I say I get tired of discussing which one is better but than I find myself in a forty minute rant about which one is better. It is like the question of which came first, an egg or a chicken. Except we know that the tube amps came first. In any case, so why choose a solid-state amplifier? I feel like solid-states get this reputation that they are for beginners or kids. And while there are quite a lot of great beginner amplifiers (you can check out our list of the best cheap amplifiers for beginners) saying that pro players do not use them is just a blatant lie. They are cheaper. And I mean a LOT cheaper. Yeah, you can find a tube amp under $1000 but it would be the “cheap” tube that is lacking in certain aspects. If you are getting a solid state at a $1000 mark you can expect a hell of a lot. They are easier to maintain. A lot of people assume that you buy an equipment and it is good to go, “they lived happily ever after” and all that stuff. Well, not really. Tube amps, for instance, need a lot of upkeep. The tubes need to be maintained and often changed because they do not last forever. The happily ever after is a bit more possible with the solid-state amplifiers because they are not as expensive to maintain and might serve you for years without a single glitch. They are usually smaller. Tubes weight a lot, the chassis is usually heavy and large. With solid-states you can get models that are small enough for you to keep them in your tiny little dorm room storage. Weight – I mean, I guess it is pretty obvious that the smaller amps mean that they are also more lightweight. That is especially important if you are traveling a lot and do not want to break your back carrying around an amplifier. They are more durable – solid-states do not have sensitive tubes that can break in a second. You can keep them in your van with some of your other equipment and not have to check in on it every 10 minutes. The tone thing – There has to be a reason why people prefer tube amps, right? Yep and the reason is the tone. While I do agree that usually a tube or valve amps have a better tone you have to take into account how far solid-state amps have come. Manufacturers crank out models that have a tone that a lot of valve amps cannot reach. In either way you have to try them out yourself to know the difference and which one you prefer. The choice of a solid-state vs. tube is hard but once you decide then comes a different choice. Which freaking amplifier out of thousands do I choose? Here I talked about just a few of the best solid-state guitar amplifiers that I think are good but do not cost too much. BUT there are so many other options that you can check out. If you want something under $300 we have a list of the best amps under $300, under $1000 and a lot more. If you are getting your first amplifier now I do not envy you and at the same time, I do. 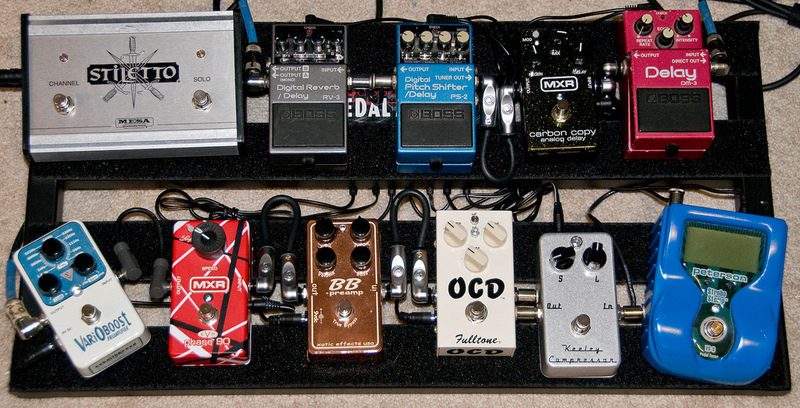 I mean… when I was getting my amp I did not have as many options. I could not browse through hundreds and hundreds of amps without getting out of my couch. BUT I am not really jealous because if it was me instead of you I would waste months just browsing without deciding on any particular one. Good luck!